Failure Modes and Effects Analysis (FMEA) is a qualitative and systematic tool for evaluating a process or product to identify potential problems (failure modes) and their impacts (effects). This will allow the identification of these problems at the beginning of a process in order to make the necessary changes to prevent defects from arising. This tool was one of the first systematic techniques developed for failure analysis. It was designed in the late 1940’s by reliability engineers to study problems that might arise from malfunctions of military systems. Early identification of failure modes. Selection of a design of a product or process with a high probability of successful operation and safety. Identification of failure modes ranked according to the seriousness of their effects and probability of occurrence. Increase of the delivery of reliable products and services. Defects in products and services may turn out to be very expensive; detecting a problem after it has occurred and attempting to correct it requires organizations to invest time and money that will not be valued by their customers. 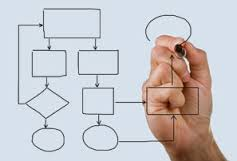 An FMEA will enable organizations to design in quality and reliability at the beginning of the process, decrease the probability of failures and increase process effectiveness and customer satisfaction. If you are interested in learning more about utilizing FMEA in your organization, get in touch to see how Workplace One can help.